The North End in Boston is a neighborhood well-known for its Italian cuisine, with a range of flavors including Italian-American favorites and restaurants that specialize in authentic fare from each region of Italy. If you open a restaurant in this neighborhood and serve boxed pasta and canned “gravy” you might get by for a while on tourist traffic, but eventually people will catch on and the superior options in the neighborhood will win out. This same scenario rings true for breweries making hazy, fruity IPAs with low bitterness in New England. The style originates in this area and there are many stellar examples, so a brewery making a mediocre NEIPA will struggle against the plethora of great versions of this popular substyle. As we make our way into spring and towards summer, many parts of New England become destinations for tourists, and the beer loving portion of the tourist community are going to be looking for the best hazy and hoppy option. The list compiled below shares some of the breweries you should check out and the NEIPAs you need to drink in every state in New England. Part one will cover Vermont, Maine and New Hampshire, stay tuned for part two covering Massachusetts, Rhode Island and Connecticut. Keep in mind, this list is far from complete, many of the best NEIPAs are made in small batches and only sold on premise, and even though New England isn’t huge I haven’t had a chance to visit every little brewery (yet). There are so many great beers being brewed in the area, I could have easily done a full article on beers from Massachusetts or Maine, the states I spend the most time in. While my travels are more limited in the other New England states, I hope to provide some great recommendations for any location you might visit. For each brewery I will also recommend my personal favorite beer in the style, although some of the beers are technically pale ales or double IPAs, all are hazy, low bitterness and packed with hop flavor. Cheers! The Alchemist: Widely credited with starting the NEIPA style with their quintessential beer Heady Topper, the Alchemist has finally rebuilt capacity after a devastating flood destroyed their old location, and several new beers are being produced. They have limited distribution and the beers sell out quickly, so pay attention to release dates if you are traveling to the area. Beer to try: Focal Banger IPA (yes, I prefer this to Heady Topper, but you should try both). Foam: Vermont might have the highest percentage of amazing breweries per capita, so when any place starts gaining widespread acclaim you know they are making great beer. Foam is quickly becoming a must visit brewery in Vermont, I know I need to try more of their beers myself. Beer to try: Pavement DIPA. Lost Nation: Probably best known for their stellar Gose, Lost Nation also makes a couple delicious NEIPAs, and they have the added advantage of a solid distribution footprint, so you can find their beers in other parts of New England. Beer to try: If I see their single-hop Mosaic IPA at a bottle shop I am probably buying it. Fiddlehead: The number one thing I miss about my old apartment was my neighbor Matt. In addition to being a great guy, he made semi-frequent trips to Fiddlehead and was a fan of my blog, so he would trade me their beers for some of my homebrew, which was a great deal for me. They have expanded a bit and you can find cans in the Boston area on occasion, but they usually sell out quickly. Beer to try: their stellar DIPA Second Fiddle. Others: This list is probably woefully incomplete, too many awesome breweries in Vermont that I rarely visit. Hill Farmstead doesn’t need any additional hype, but they make incredible hoppy beers and their brewery is a necessary pilgrimage for any beer fan. 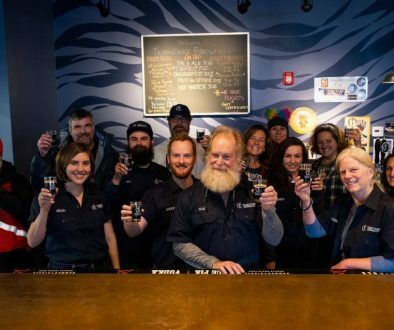 Burlington Beer Company is another brewery that has a passionate following, I know several people who make the trip from Boston specifically for their beers, which is a huge complement considering the other amazing places to visit in that area. Otter Creek and Long Trail have completely overhauled their brands in the last few years, and both breweries make some delicious hoppy beers. I am excited that Zero Gravity is starting to distribute in the Boston area, I need to try more of their beers. Lawson’s Finest Liquids is a Vermont staple, and their Sip of Sunshine DIPA is one of the beers that helped define the style. Bissell Brothers: Starting with another obvious choice, but Bissell is popular for a reason. 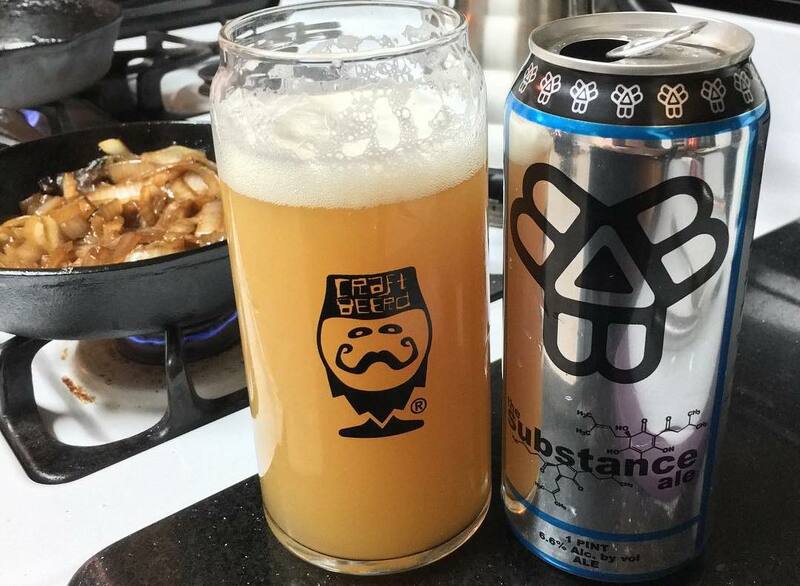 They started brewing a single beer, a delicious NEIPA called The Substance, and have expanded their lineup to include an impressive array of styles. The new taproom in South Portland is a must stop if you are in the area, it can be crazy for can releases but mellows out a bit when they are just doing pours. Beer to try: Most people would pick Swish (which is a superb DIPA), but I’ve always been partially to their flagship IPA The Substance. Lone Pine: An upstart brewery that has gained a huge following and rapidly expanded over the last year. Lone Pine has a rotating stable of hop-forward offerings and I’ve enjoyed each one I’ve had a chance to try. Their single-hop Onesie series is a great way to learn the flavor and aroma profile of a particular type of hop, and they have brewed versions using some less common hop varieties. Beer to try: Their flagship IPA Brightside has huge hop flavor and easy drinkability. Foundation, Austin Street and Battery Steele: If I can only make one stop in Portland the easy choice is Industrial Way where you can find one of the most innovative breweries in the country (Allagash), the oldest brewery in Maine (Geary’s) and these three standouts. Foundation, Austin Street and Battery Steele all occupy different bays in a single building, a repurposed industrial lot that has given rise to some of the best beer in New England (former tenants include Bissell Brothers, Rising Tide and Maine Beer Company). All the current occupants are making impressive versions of the NEIPA style. Beers to try: Foundation Epiphany DIPA, Austin Street Patina Pale Ale, Battery Steele Flume DIPA. Others: Baxter is one of the largest craft breweries in Maine and their limited release Bootleg Fireworks is one of the best DIPAs in the state. Mason’s has earned a solid following with their bold NEIPAs Liquid Rapture and Hipster Apocalypse. Mast Landing is another brewery that makes a number of well-crafted hop-forward beers, their Double Dry Hopped Tell Tale is a stellar New England style pale ale. Maine Beer Company doesn’t really make NEIPAs, their beers are crystal clear and crisp, but any IPA fan needs to try Lunch, Dinner, and their other precise brews. Sebago Hop Swap is a yummy IPA brewed with a rotating series of hops, and their brew pubs are a great place to stop for a meal. Stoneface: One of the most popular breweries in New Hampshire, Stoneface has a solid amount of distribution so their beers aren’t too hard to find. They brew a number of IPAs with different hop profiles, but most feature the hazy body and soft bitterness NEIPAs are known for. Beer to try: Full Clip IPA. Henniker: Henniker’s flagship Hop Slinger IPA is more of a West Coast IPA, but their DIPA Damn Sure is more hazy and fruity, trending towards a NEIPA. Both beers are well made and tasty. Beer to try: Damn Sure DIPA. 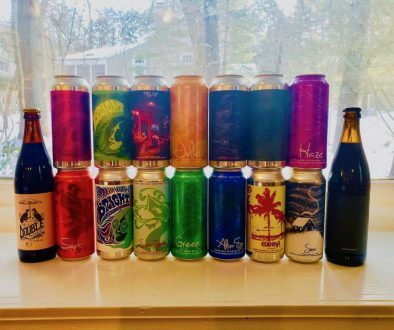 Others: I struggled the most with New Hampshire, it gets lost in the mix between the vibrant scenes in Maine, Vermont and Massachusetts which is a shame because there is a lot of great beer in the Granite State. I think a few of the up and coming New Hampshire breweries will start to gain some more regional buzz very soon. When I crowd-sourced the best NEIPA in New Hampshire the two most common responses were Garrison City and Great Rhythm, two places that I really need to try soon. Deciduous is probably best known for their saisons and sours, but they also make some top-notch hoppy beers. The characters on Kelsen’s packaging will catch your eye, they look like they were ripped straight from a Tolkien novel, but the liquid inside will make you happy you made the purchase. Ryan Brawn is a beer geek, writer, chemist and occasional home-brewer who lives in the suburbs of Boston. He is the author of HoppyBoston.com, a blog featuring news, notes, reviews and opinions with a focus on the New England beer scene. You can follow Hoppy Boston on Twitter (@HoppyBoston), Instagram (HoppyBoston) or Facebook (facebook.com/hoppyboston). When will beer writers understand that Heady Topper is not a NEIPA style double IPA and certainly not credited for being the first. HT is barely hazy, while there are some floaties, and has far higher IBUs than the style. Look to Hill Farmsteads Susan as the progeny of the NEIPA. In NH checkout pipe dream and backyard brewery. Both making some nice juicy hazy neipas. Thanks for the suggestions! I need to get up to NH a little more and check some of these places out. VT: Foley Brothers is KILLING it…Skeleton Crew and Pieces of Eight. NH: Misguided Angel from Litherman’s Limited and The Agent from Kettlehead are solid. Thanks for the suggestions! Foley Brother and Banded Horn are great, so many amazing beers in Vermont and Maine. Love all of the New Hampshire recommendations I am getting, might need to plan a NH brewery tour this summer. Schilling up in Littleton, NH is worth the drive. Not necessarily NEIPA style but great nonetheless. Schilling’s Resilience Project has a couple of NEIPAs. So good. I’ve enjoyed a couple Schilling beers but not any NEIPAs from them, I’ll need to check out more of what they offer! Thanks for the suggestion, I will check that one out!